And now for something completely different. Or maybe not completely, but almost. NYC’s collective of musicians Megative fuses late-70s UK punk with reggae and dub. They also add slices of electric urgency to create a deep, dense, urban and dystopic sonic landscape owing much to Two-Tone creators The Specials, punk rock giants The Clash and Jamaican mixing maestro Lee Perry. Singles like More Time and Can’t Do Drugz (Like I Used To) have narcotic soundscapes with singers Tim Fletcher and Gus Van Go trading verses completed by a distant trumpet and gothic sonic effects. Best of the bunch is however the Metric Man combination Megative No Fear, which is a version of Derrick Morgan’s rocksteady classic Rudie’s Don’t Fear, with its aggressive and haunting production. This is a youthful sound created by seasoned musicians who aim to create something new and fresh, yet not fearing tradition. It’s a big and bold sound full of defiance and attitude. Singer and guitar player G.T. Moore has been in the reggae business since the early 70s when he formed his band G.T. Moore & The Reggae Guitars. He has recently discovered a bunch of tracks he recorded in 1980 at Harry J in Kingston, Jamaica, while working with Lee “Scratch” Perry. These cuts have now been released on the excellent album The Harry J Sessions. The set collects eight tracks – four vocals and four dub versions. Only one of these – the superb album opener Utopia – has been previously released. All tracks have now been given a mixing treatment courtesy of Dougie Wardrop from Conscious Sounds. All recordings carry a meditative vibe and the horns on Utopia and its dub version Reformation Dub are spellbinding to say the least. Jerusalem, and its dub counterpart Temple Mount Dub, comes with a mesmerizing guitar and an ethereal melodica. The bass lines on Harry J Sessions are lethal and especially the one carried out on Turn the Wheel Dub. This one gives a new meaning to the word hypnotic. World-renowned reggae producer and dub legend Lee Perry has collaborated with a big number of artists over the years, and one of the best such was with UK’s Daniel Boyle, who produced the massive and Grammy-nominated album Back on the Controls. That album successfully re-created Lee Perry’s erratic and colorful sound from the mid-70s. Belgian band Pura Vida has also been disciples of Lee Perry and his sonic adventures at his (in)famous Black Ark studio in Kingston. Now they have had the opportunity to work with the myth himself. Their collaborative album The Super Ape Strikes Again carries a bold – and promising – album title since it refers to some of Lee Perry’s best work – his 1976 landmark release Super Ape, which is by some considered as his best album. And it’s a pleasant listening throughout, even though it’s not in the same league as the innovative Super Ape set. But The Super Ape Strikes Again has all the classic Lee Perry elements – dubwise effects and dread atmosphere where instruments and vocals swirl around in thick ganja smoke. Lee Perry’s half-sung/half-spoken wordplays are also in full effect and are as usual an acquired taste. This album could be mistaken for one of Lee Perry’s more accessible productions from the 70s. It doesn’t have some of the bizarre vibes sometimes associated with him, but it has the same lo-fi feel and grim bass lines. It’s something of a time capsule and pays respect to one of the masterminds of contemporary music. In 2013, the then 19 year old Swiss key player Mathias Liengme went to Jamaica to realize a dream, which beforehand might have seemed odd to his friends and family. He had decided to travel to Kingston to bring together a star-studded line-up in the same studio. And when in Jamaica he brought together drummer Leroy “Horsemouth” Wallace, bass virtuoso Lloyd Parks, master guitarist Earl “Chinna” Smith and acclaimed singer Anthony “Sangie” Davis from The Gathers in the Harry J studio. He recorded them and they sang original compositions, compositions collected on the excellent self-titled debut album The Inspirators. Maybe it’s not correct to describe it as a debut album since all four veterans have been in the music business since the 70s and played on more songs than probably anyone outside the reggae industry. On the eight tracks the four front men are joined by an all-star cast, including Vin Gordon and Nambo Robinson on trombone, Dean Fraser on saxophone and Dalton Browne on backing vocals. It’s a truly uplifting set full of vintage vibes and excellent musicianship. Standout cuts include the melancholic No Bother Chuck It Pon Me, Poor People, with its remarkably low lead vocals accompanied by high harmonizing, and the cheerful Can’t Take It, a track describing minor and major hardships of life, including having no fan in the summer, when the heater is off in the winter and having holes in the roof and squeaking floors. This is Mathias Liengme’s second production and the follow-up to I Kong’s A Little Walk which was released earlier this year. He’s obviously a music force to be reckoned with and it’s a major achievement to have put these session musicians in the spotlight and having them showcase their vocal talents. French singjay Yellam – formerly Jr. Yellam – recently dropped a new EP as a taste of what’s to come on his second album The Musical Train, slated for release during the first quarter 2016. Yellam has previously collaborated with French production crew Irie Ites, one of the best and most consistent production teams from Europe. On Get On Board they have produced four of the five tracks, including the massive Rub a Dub Anthem on their Diamonds riddim. The EP showcases a variety of styles. Rub a Dub Anthem is tough vintage dancehall with clear influences from legendary producers like Linval Thompson and Henry “Junjo” Lawes, while the two exclusive tracks on the set – Step Up and Beggin’ – show a somewhat different approach. The former is up-tempo and dancehall flavored, while the latter is atmospheric with a hip-hop vibe. Not included on the effort is the single Galong, which is in the same vein as Rub a Dub Anthem. I hope that Irie Ites have taken Yellam further in that direction, but the two new tracks clearly illustrate another path. First came Scientist, Peter Chemist and Mad Professor and now UK’s premier Mafia & Fluxy introduce another academic dub wiz – The Pharmacist. Who’s behind that alias is shrouded in mystery. 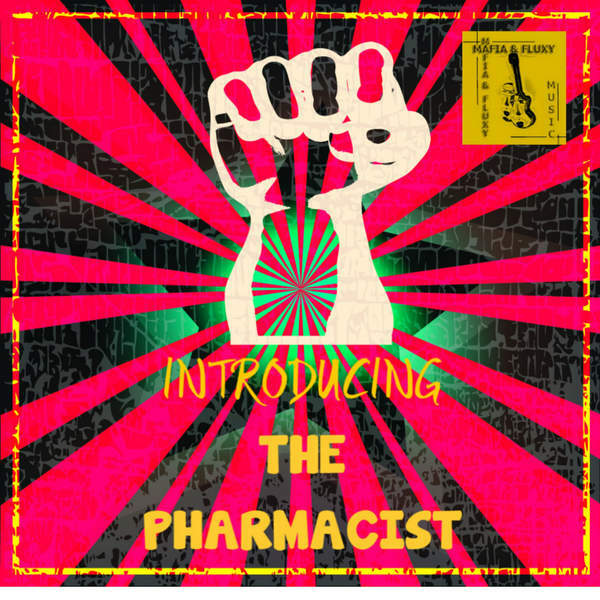 On Introducing The Pharmacist – produced by Mafia & Fluxy – this mysterious engineer has mixed 12 deadly cuts and some of them come with titles inspired by heavy drugs – Ketamine Dub, a medication used mainly for starting and maintaining anesthesia, Tramadol Dub, pain reliever used to treat moderate to severe pain, and Amitriptyline Dub, a drug to treat depression. Some of the cuts on this lethal set come with extra all – sirens, laser beams, echo, reverb, delay and other audio effects that have been the preferred choice for dub engineers since the 70s. Other tracks are a bit more conservatively mixed with focus on the bare essentials – bass and drums. They have rejuvenated several well-known riddims and the dub version of Johnny Clarke’s mighty Declaration of Rights sets the tone as album opener. It’s absolutely devastating with its haunting organ, Johnny Clarke’s echoing voice and rapid-fire percussion. It’s followed by yet another brilliant relick – Johnny Osbourne’s Truths and Rights, which comes with a hypnotic and spellbinding bass line powered by decades of ganja smoking. If you need a more natural treatment for curing pain, anesthesia and depression check this album instead of going to the doctor. You know there are myths about French people being rude? Well, that’s of course a stereotype and a misunderstanding, but when I was in Paris looking for records the other week I actually experienced it. For the second time. Both times it has happened in record shops. The first time was two years ago when I visited the grumpy old man at Goodies Records. He asked me to leave, or rather threw me out, when I didn’t buy anything. And three weeks ago it happened again. I wasn’t asked to leave though. This time it was the other way around, since I wasn’t allowed to pay for my records at Crocodisc until I had listened to five records suggested by the record store clerk. When I finally got to pay for Ras Michael’s Rastafari in Dub, The Skatalites’ Rolling Steady and Prince Jammy’s Computerised Dub he slammed each record down on the counter as some kind of statement. A very weird experience. 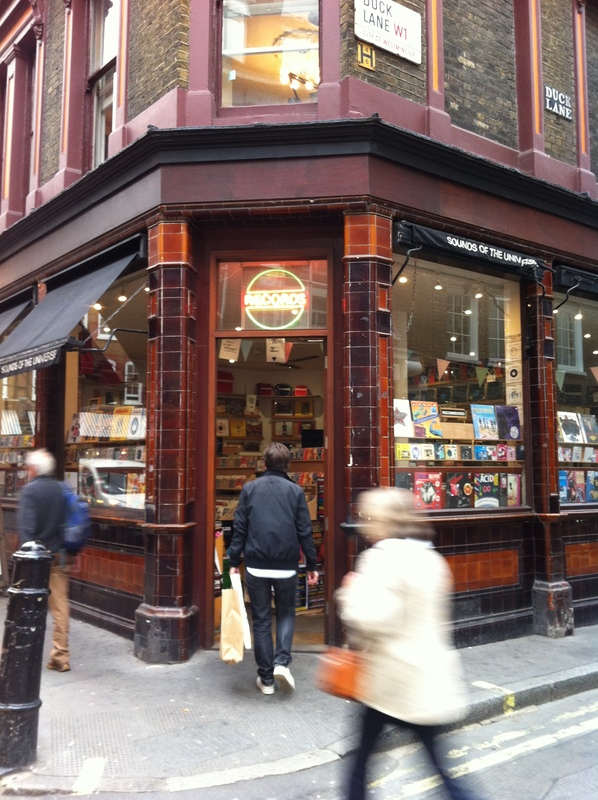 Luckily all other people I met in record stores, or at other places, were not ruder than in any other country. 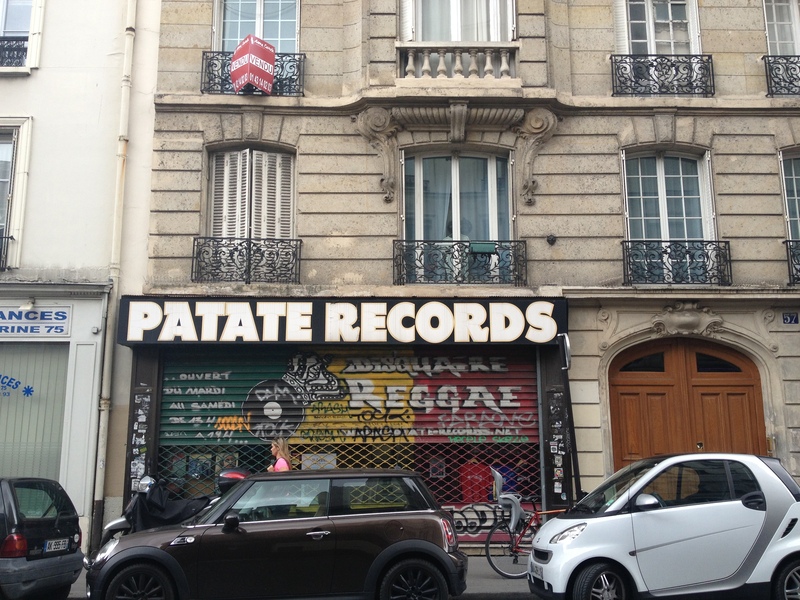 The owner of Heartbeat Vinyl was extremely helpful and friendly, so was the people at Betinos, Superfly Records, Music Avenue, Le Silence de la Rue and Patate, the latter probably being the most well-known reggae record store in France. 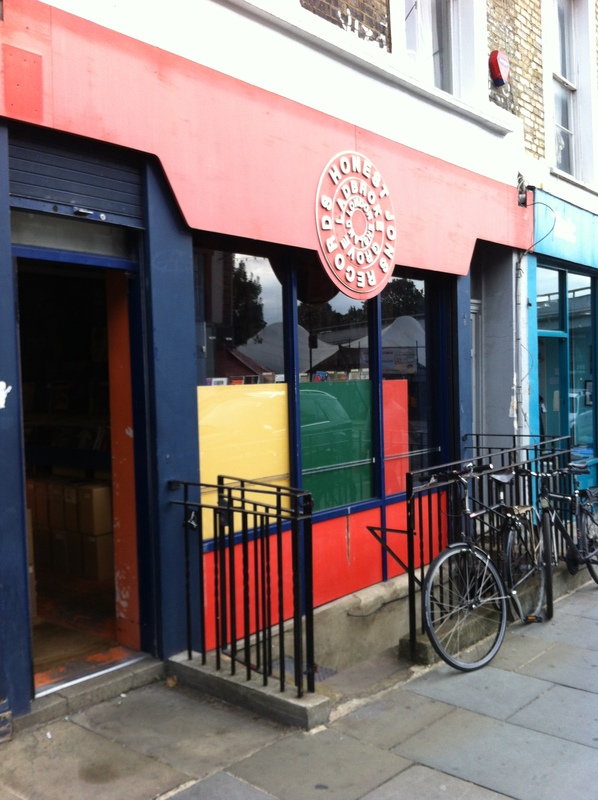 For a full list of all the record stores I visited check Reggaemani on Instagram. 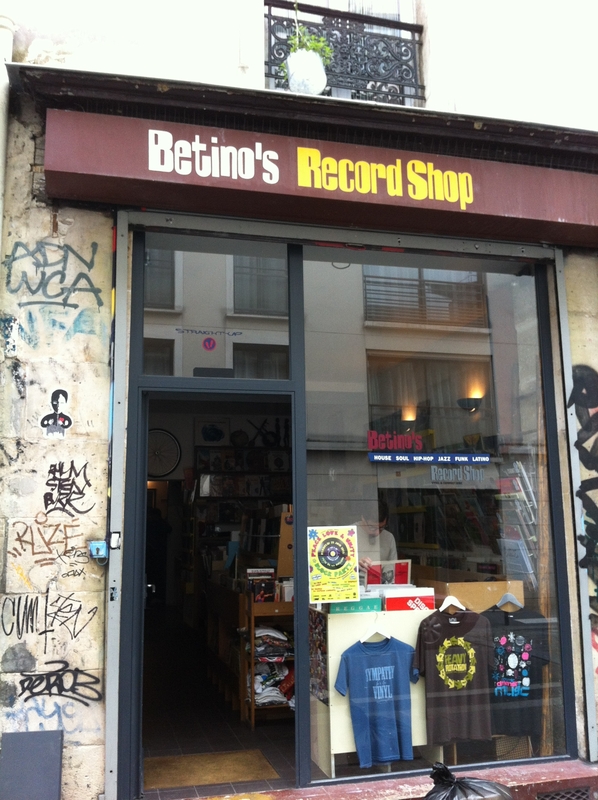 For a very comprehensive list of record stores in Paris you can check this thread on Discogs.